Many victims of Hurricane Katrina have argued for some time that Katrina was a manmade disaster caused by the Army Corps of Engineers’ failure to maintain the levee system protecting the city. Katrina struck the region Aug. 29, 2005. As reported by NPR this morning, U.S. District Judge Stanwood Duval agreed, ruling that the Army Corps of Engineers’ failure to properly maintain a navigation channel led to massive flooding in Hurricane Katrina. The judge made this ruling late on November 18, 2009. In a sometimes scathing critique of the U.S. Army Corps of Engineers, the judge found “monumental negligence” in the operation and maintenance of a shipping channel called the Mississippi River Gulf Outlet. Judge Duval also rejected the government’s argument that it was immune from liability, awarding the plaintiffs (4 individuals and 1 business) approximately $720,000. 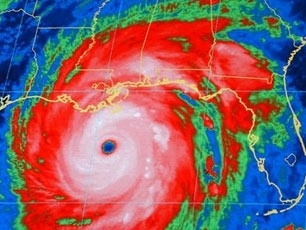 Although the amount awarded may sound small, the outcome of the case is being closely watched by other victims of Hurricane Katrina who may also be seeking compensation. The government has indicated that it will review the judge’s ruling for possible appeal. What do you think of the judge’s ruling? Should the federal government be liable to any of the victims of Hurricane Katrina for their loss? You can read the judge’s entire opinion, which I have placed in the Box on this site. If there are any problems with retrieving the opinion here, you can also download it from NPR here. This entry was posted in Civil Litigation, courts and tagged Army Corps of Engineers, Hurricane Katrina, United States Army Corps of Engineers. Bookmark the permalink.